If Wimbledon was the cake, the US Open is the icing in Novak Djokovic's comeback party. And his latest triumph celebrated all the things that make Djokovic such a spectacle. His focus was laser sharp, his defence unbreakable. From first shot to the last, his utter belief in his success never wavered. 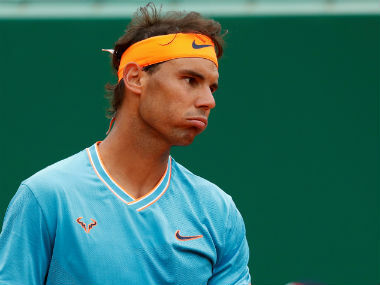 It's as if all the doubts that were swirling in his mind the past two seasons were buried at the famous Wimbledon lawns. It was winning business as usual in New York. 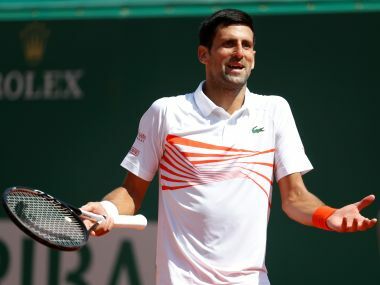 Playing his second Grand Slam final in a row, Djokovic blocked out the distractions of playing friend and crowd favourite Juan Martin Del Potro to win 6-3, 7-6 (4), 6-3 in three hours and 15 minutes. That took his major tally to 14, level with Pete Sampras. 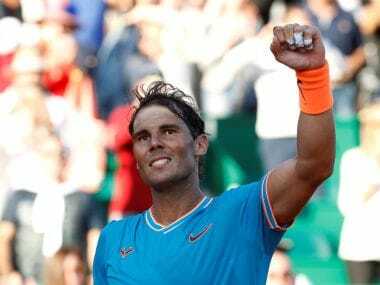 He now stands third in the list of most Grand Slam singles titles, with only his top rivals Rafael Nadal (17) and Roger Federer ahead of him. "I expected him to come back, absolutely," John McEnroe said. "Did I expect it to be this emphatic? No I did not." The fluidity and flexibility in Djokovic's movement that makes tennis look easy, makes winning Slams look easy. After dropping a set each in the first two rounds at the Open, he has taken charge of the court emphatically (to borrow from McEnroe's word book) and won 15 sets in a row. That clarity of thought and clean execution was once again apparent as he set about dismantling Del Potro in the final. The Argentine, on the other hand, was competing in a Grand Slam final after nine years and was riding the popularity wave in New York. His forehand has been awe-inspiring through the fortnight, and his backhand has held surprisingly well. But none of that would be enough against the persistent defence of Djokovic. No corner in the court was Djokovic-proof. "Novak is too fast. His defence is good," Del Potro lamented after the match. "It is really difficult to beat a player like Novak. I was playing at my limit almost all the time, looking for winners. But couldn't make them because Novak was there almost every time. I took the risks with my forehand because it was the only way to beat this kind of player. My mistakes were because of his level." Djokovic kept the 6'6 Argentine on the run, pulling him from corner to corner, never really letting him set up and take a swipe at his big forehand. He negated Del Potro's big serve with some extraordinary returns. Djokovic's practiced skill in hitting offensive shots from deep down in the court gave Del Potro absolutely no breathing space. The Argentine was seen doubled over, hands on his knees by the end of the second set, when Djokovic weaved this pattern of shots to draw three forehand errors on the trot from the Argentine and win the tie-break 7-4. Forced to go for too much, Del Potro ended the match with 47 unforced errors against his 31 winners. While Djokovic was in control of the match all through, he lost his cool a couple of times when the boisterous crowd, packed into a roofed Arthur Ashe stadium, rooted hard for the Argentine. After going down 3-1 in the second set, Del Potro had played some inspired tennis to wrest back the break and then hold at love to level the set 4-4. It could have turned the momentum in the Argentine's favour. But Djokovic survived a 22-point, 20-minute game, where he faced three break points. His steely resolve had once again seen him through. Even though Del Potro took the second set to a tie-break, and fought back from 3-1 down in the third set as well, he was left catching up to Djokovic's consistent brilliance. "This might sound funny, but my nickname is Nole. When they shout 'Ole, ole, ole, ole,' that's what I hear," he said at his post-match press conference. "I actually make myself hear that, to be honest, no word of a lie. I really do... When the roof is closed, trust me, it's very, very loud down there. It takes a lot of effort to actually stay poised in the moment. I'm glad I managed to do that." Till only a few months ago, Djokovic, 31, looked lost and uncertain of his future. Injury worries and, he claimed, 'personal problems' had seen him slump to No 22 in the rankings. After returning from elbow rehab at the start of the year, Djokovic struggled to get going at the Australian Open and lost to young gun Hyeon Chung. He opted for an elbow surgery in February. 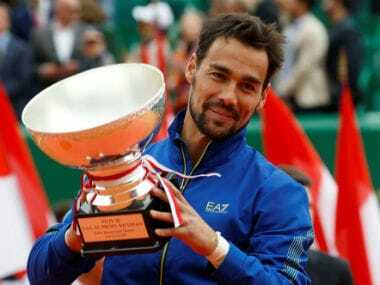 At the French Open, his defeat to Italian journeyman Marco Cecchinato sent alarm bells ringing. Djokovic was unsure whether he would continue with the season and play on grass; tennis was not on his mind. But match by match, he turned it around in Wimbledon. The thrilling five-set win over Nadal in the semi-final was the final piece in the puzzle. Djokovic has lost only one match since: a round of 16 defeat to Stefanos Tsitsipas at the Canadian Masters. He won the Cincinnati Masters the next week to become the first player to win all the ATP 1000 Masters titles. 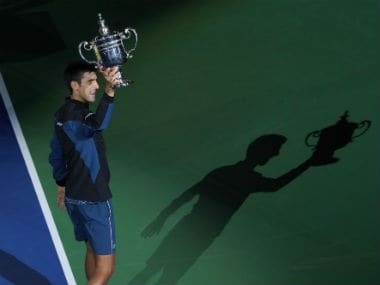 And at the US Open, he played with the same fiery-eyed purpose that has first seen him rise to the top of the rankings and then win four majors in a row in 2015-2016. He's undoubtedly back, and perhaps even better. "This means the world to me," Djokovic said on Sunday. "And I don't see any limits. I don't see the end around the corner so I will keep on going."